Horror spoof is supposed to be funny. To be funny is to be clever. To be clever is to understand. 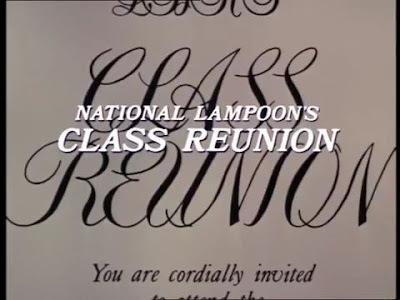 National Lampoon's Class Reunion (1982), hailed by writer and director of some of the most successful live-action comedy films of the 1980s and 1990s such as Weird Science (1985), Ferris Bueller's Day Off (1986) and Planes, Trains and Automobiles (1987) John Hughes, only partially understand. Do the math (or something) and you can tell from here just how funny Class Reunion is. Coming out as a cross between Prom Night (1980) and Airplane! (1980), it's the 10th-year reunion of Lizzie Borden High School's Class of '72 which returns to Count Dracula's dilapidated castle their Alma Mater for a grand party. The celebration is soon interrupted when a Hare Krishna alumni gets killed, his body swung across the stage and a suspect gets brought up: Walter Baylor, the class geek who was the victim of a Terror Train (1980) inspired prank on graduation day. The alums then discover they're locked inside the school and its now up to a couple of brave (and a few dumb) souls to stop the madman before they're all killed. Or, y'know, annoy the killer enough to contemplate if said killing spree is even worth it. That alternative. 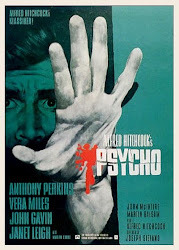 Much so with the case of other slasher spoofs like Student Bodies (1981), Pandemonium (1982) and Scary Movie (2000), horror is an element rare in presence for the likes of National Lampoon's Class Reunion (1982) and the movie instead relies on being a full blown comedy that satires the dead teenager flicks of its time. (Hence the lack of a high kill count) Now this film admittedly has its fun and funny moments, but how the rest of its so-called comedy was handled and timed just felt too random, resulting to an end product that's simply a messy cluster of odd characters, cheeky scripting and corny gags with little to nothing of it coming together. So if the jokes aren't a little too corny, they're instead a complete groan-inducing miss. Class Reunion at least has a very wobbly leg of a saving grace to stand on, as it boasts an impressive and familiar cast (Stephen Furst, Anne Ramsey and Michael Lerner just to name a few), as well as Blackie Dammett, who does a damn great job in his role as the demented Walter Baylor. 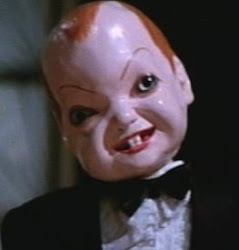 You can simply tell Dammett is the best part of the movie for all of the scenery he's chewing whenever he's up on screen and the guy certainly is having a blast owning the part, so much so that he's probably the one and only good reason to see this film. At the gist of it all, don’t expect to be rolling around on the floor in laughter with National Lampoon's Class Reunion (1982). It tries everything (and I mean everything) to be funny, but the lack of solid satire and creative gags make Reunion completely miss its point way too many times and hitting it way too little. A real disappointment for a spoof.